At Bureta Physiotherapy it is our mission to provide the highest quality, individualised physiotherapy treatment including hands on and active rehabilitation. With a highly qualified professional physiotherapist, rehab exercises and access to a variety of core and functional rehab classes, you can resolve not only the injury at hand but also the underlying causative factor. In 2017 we were the winners on the Westpac Business awards in the Customer Service category. If you haven't tried us come see what everybody is talking about. We also provide a range of fitness services from fitness and core classes to pilates classes. A personal physiotherapist ensures effective results. To provide a World Class physiotherapy service to the people in the Bay of Plenty with a strong focus on improving overall health and fitness. 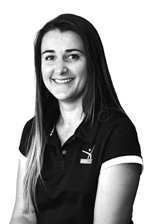 Our staff are highly trained, NZ registered physiotherapists who are passionate about getting you better, your overall wellness and their profession. After graduating from Otago University in 2000 I left NZ shores for Portugal to work as a physiotherapist and travel the world. After four years overseas working in private practice and for the Portuguese 7’s team and Irish Athletics Team and plenty of travelling along the way I returned home to NZ late in 2004 to get married to Sean and to take over at Bureta Physiotherapy. We have continued to expand the practice concentrating on quality, individualised hands on physiotherapy treatment. We have been lucky to have such a great group of staff to work with and a large variety of patients that makes work enjoyable and challenging every day. Since being home I have completed by Masters in Musculoskeletal Physiotherapy (and Acupuncture) and focused on Sports physiotherapy. I have worked and travelled the world with NZ Athletics, the Blackferns and the NZ Womens Sevens Team until after the Olympics in Rio. I am currently working on some exciting new High Performance sports projects and look forward to what these hold in the future. The rest of my time I am with my husband Sean and three amazing kids who are growing far too quickly and we love making the most of the stunning BOP and all that’s on our “backdoor step!”. Ashton and Pippa keep me pretty busy but if I do get a chance, I like to get out on the Mountain bike doing the epic rides of NZ and have completed a number of races and endurance events. I will be looking forward to some North Island MTB challenges, and maybe even getting the snowboard back out again. Having joined the Bureta Team shortly after Jacinta took over the reins, I have enjoyed 8 years providing physiotherapy to my home town Tauranga. Myself and my partner Becky, arrived back from London. She’s from Auckland, so it wasn’t hard choosing Tauranga and its lifestyle as our place to put roots down. This rich lifestyle has meant that my workload is always varied and challenging, across a broad age spectrum. I am actively involved in several sports, so much of my physiotherapy passion is sports oriented. My style of physiotherapy is very hands-on manual approach, incorporating acupuncture, massage, muscle balance and exercise prescription as the major emphasis of my treatments. As winter fast approaches, my mind turns to the basketball competition and injuries, riding cold roads and preparing for the snow season, see ya on the slope! In 2008 I graduated with a Bachelor of Health Science (Physiotherapy) from AUT. Since graduating I have spent the first few years working in private practice clinics around Auckland. 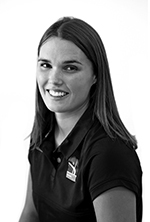 I started working at Bureta Physio after my husband and I relocated to Tauranga in 2012. We love the outdoor lifestyle the Bay of Plenty has to offer. I am passionate about sports and enjoy playing competitive soccer and netball. I am particularly interested in musculoskeletal and sports physiotherapy including acute and chronic injury management. I enjoy the challenge of determining the underlying causes of injuries and looking at injury prevention. My spare time is mostly spent with my husband Ben and our 2 young sons. I enjoy spending time at the beach, playing sports, reading, and travel. After graduating from Physio School from what is now known as AUT in 1992 I headed off on an extended OE working in both the United States and the United Kingdom. During this time I worked in a number of private and public hospitals and sports clinics gaining experience in a wide variety of conditions and patient groups treating kids through to older adults. 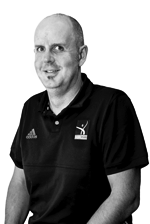 Returning to New Zealand in 1996 I settled in Hamilton and undertook my Acupuncture training through the Physiotherapy Acupuncture Association of New Zealand becoming a Registered Physio Acupuncturist. I ventured overseas again in 2004 this time to the sunny mid north coast of NSW working mainly with the assessment and treatment of local industries in the area. After a 4 year stint in Oz I returned to Hamilton where I have been based at a Sports Med Clinic treating weekend warriors through to elite athletes. The call of better weather has me now relocating to Tauranga. Professionally I bring over 20 years of experience focusing on providing a level of care that enables and empowers clients to be the best caretakers of their physical wellbeing, through both hands on treatment, acupuncture and exercise prescription. When I am not at work I probably spend far too much time on my mountain bike even getting out to do the odd race now and again - the longer the race the better, there is nothing quite like pedalling a bike round and round in circles for 12 or 24 hours. With the coast so close I am looking forward to dusting of the longboard and growing chillis. Having grown up in the Tauranga/Mount Maunganui area I am super excited to move home and spend some time at the beach and with family and friends. After finishing high school at Tauranga Girls’ I went up to AUT to complete my physiotherapy degree and graduated in 2009. After a short stint working in a physiotherapy practice in Aussie, myself and my partner Matt went to Japan for a year of snowboarding and teaching English. Since moving back to the motherland in 2011, I have been working in a private practice in Hamilton, treating a wide range of clients and working with Waikato University rugby and Hilary Scholar athletes. Over the past year I have been completing my post-graduate certificate in Western Acupuncture and I aim to continue studying to achieve a clinical masters in musculoskeletal physiotherapy. I love running, surfing, snowboarding and triathlon, and am really looking forward to working with the team at Bureta! 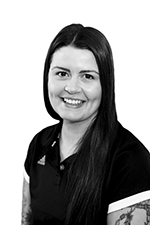 After completing my Bachelor of Health Science in Physiotherapy at AUT in 2012, I have been working as a musculoskeletal Physiotherapist developing my skills and learning from each patient I meet. I love connecting with people and working with them to not just reduce their pain but to improve their biomechanics and overall function. Teaching people to build body awareness through connecting with themselves and encouraging them to pursue a lifestyle that nourishes their body is one of my favourite aspects of being a Physio. I believe that the body has the ability to often heal itself when given the right tools and approached in holistic way. After finishing my schooling years in Tauranga I headed down to the cold South to complete the four year bachelor of physiotherapy in Dunedin. Over these years I developed a passion towards the human body and how it works. I really enjoy encouraging and working alongside people in order to help them achieve their health aspirations and providing education to better themselves. In my spare time I love going tramping, playing netball any kind of skiing. I am super excited to be back, living in the bay and to be part of a top quality practice to challenge and further my physiotherapy experience. Originally from Tauranga, I am excited to be back in my hometown after graduating from the Auckland University of Technology (AUT) in 2015. Having worked a short stint in Auckland I am now enjoying being a member of the Bureta Physio Team, where there is a strong team spirit with an emphasis on; providing professional expert advice, always going the extra mile for our patients and being actively involved in our local community. I have a special interest in the treatment of sports injuries and in managing chronic pain conditions. 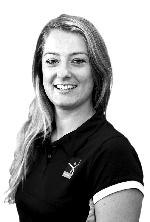 I have a range of sports interests having previous involvement participating and coaching sailing, rowing and netball and over recent years I have worked as a Physio in rugby and football. I am passionate about the prevention and early management of injuries in young athletes so as they can reach their full potential. I enjoy Acute Sideline Management and look forward to working with local sports teams, I am currently working with the Te Puna Rugby’s Premier Development team. This year I am completing further study in the use of Pilates exercises to assist my patients. Throughout growing up in the mighty Waikato, from primary school and learning about the different bones and muscles in the body I have gained an interest in how the body works and in Physiotherapy. In 2017 I graduated with my degree at Auckland University of Technology (AUT), and have adventured to the sunny shores of Tauranga to start my Physiotherapy carrier. Growing up I played soccer/football throughout school and at university, I played Futsal (indoor soccer) and participated in the University Futsal champs. I also have in interest in running for my general fitness. I look forward to getting to know more about the locals of Tauranga and helping you towards getting to 110% and back doing the things you love. Hola, Kia Ora and Hello. Originally from Argentina I arrived in New Zealand in 2002. After finishing all my schooling in Tauranga I travelled to the cold south to complete my Bachelor of Physiotherapy graduating in 2017. Throughout my studies I was able to work with local rugby teams. 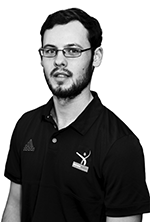 This experience developed my passion for sports physiotherapy and side line management. In 2018 I will be working with Mount Maunganui in the winter rugby season. I was fortunate to get the new graduate position at Bureta Physiotherapy which allows me to live in the incredible Bay of Plenty and work with passionate and experienced health professionals. Areas of interest are injury prevention through early assessment and training/strength programs to ensure optimum outcomes. When I am not in the clinic or on the side of a rugby field you can find me singing at the occasional open mic night or with my latin band. I also enjoy hiking, mountain biking and/or any sport in the outdoors. After graduating in 2018 at Auckland University of Technology with a Bachelor of Health Science (Physiotherapy), I thought there is no better place to be than back in the Bay of Plenty where I grew up. I have a passion for helping people and making a difference in their lives by educating and assisting them in injury recovery and prevention. When I am not in the clinic or on the rugby sideline as a Physio for Te Puna rugby, you will find me in the water, bush or at the snow. Surfing, snowboarding, wakeboarding, travelling and exploring our beautiful backyard. I’m stoked to be apart of an amazing supportive team at Bureta Physiotherapy and look forward to developing my skills further in the years to come. Originally from England, I immigrated to New Zealand with my husband Greg and 2 children Jack and Sienna in 2012. I have worked in the fitness industry since 1998 and moved from part time Class Instructor to running my own business as a Personal Trainer and Massage Therapist in 2003. For the first 5 years of living in the Manawatu I built up a successful Massage and Pilates business. 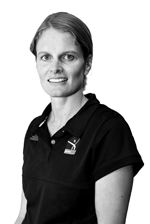 With a recent move to the BOP I am excited to be working with the team at Bureta Physiotherapy. My ongoing study enables me to keep fresh and up to date. I am passionate about people and is proud to be in a profession where work doesn’t feel like work. I feel so lucky to have a career that supports my caring nature and love of the human body. In my spare time I like to hang out with my family and friends at the beach and I like to keep fit by boxing, and keeping a sense of humour by learning to surf at 40! Originally from South Africa, I moved to New Zealand, in 2014, to embark on my health profession journey. 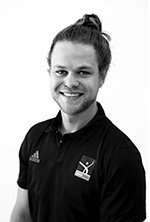 I have worked in the health & fitness industry since 2012 and have made my way from a sports coach, to group fitness instructor, to Pilates instructor and now; my greatest passion, a Massage Therapist. I have received my AUT Level 7 Bachelors degree in Sport & Recreation, as well as completed my post-graduate studies in Sport & Therapeutic Massage. I am extremely passionate about muscle recovery and rehabilitation and believe in taking a holistic approach to achieve overall health and wellbeing. I am very grateful and honoured to be a part of the team at Bureta Physiotherapy, where we are encouraged to continue learning in order to be the best therapists we can be. You may find me out being active on the football, cricket, rugby and pretty much any other sports field. Hola and Hello. I am originally from Sydney Australia, grew up in Tauranga New Zealand and lived in Argentina for one year. I am half Kiwi and half Argentinian. 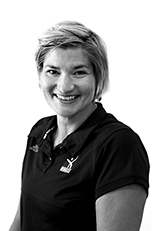 I have worked in the Health and Fitness industry for over 9 years as a Personal Trainer, Regional Manager, Swim Instructor, Group Fitness Instructor and a Board Member for Arthritis New Zealand. Currently finishing up my Bachelors Degree in Sport and Recreation Level 7 through AUT University. I am a qualified Personal Trainer and qualified to offer Massage and Reiki. I take a holistic approach to health and fitness, focusing on the connection between mind and body. My ultimate goal is to empower the community and athletes to take control of their own health and well being. I am very thankful to be given the opportunity to work as a Massage Therapist at Bureta Physio and work along side an amazing team. In my spare time I like to do yoga, meditate, read, cook, camping and exercising outdoors with my partner. After working in a CA environment for near on 20 years it was time for a change and Bureta Physio provided the opportunity to work within a fun, friendly and very busy environment which I very much enjoy. I have three active children so when not working or away on the lake or camping, you’ll find my partner and I supporting them at a variety of sports and in our downtime out on the water. I have joined Bureta Physio as a part - time receptionist in April 2017. I love working with such a great team and it makes work fun when getting along with everyone, having a few laughs. March this year we moved back to my home town in Tauranga after spending 5 years over in Brisbane with my partner. We decided the heat was to much and that we were ready to start setting down some roots in this beautiful place we call home. I enjoy getting outdoors, going on fun adventures, reading and I love spending quality time with my mum & 4 siblings. Hi. 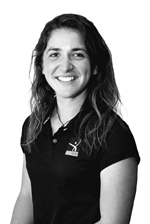 I have recently joined Bureta Physiotherapy as a part-time receptionist and am very much enjoying working with such a friendly and professional team, as well as getting to meet the lovely patients who walk through the door. My husband and I, along with our three children have lived in Tauranga for 13 years, after spending 5 years living in Fox Glacier on the West Coast of the South Island. I love living in Tauranga and enjoy being busy with family and friends. I also like to keep fit by regularly walking up, or running around the mount, as well as playing squash.